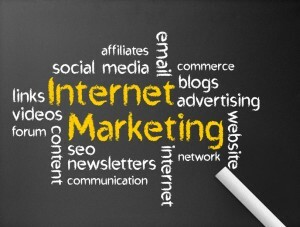 Use these questions to pick the RIGHT Internet marketing firm. Or simply call us. We have the experience and results you can rely on for superior Internet marketing services. These days, it’s not simply enough to have a website for your business, that site must also be well designed, optimized and maintained on an ongoing basis to stay relevant in search engines and to help your business obtain the greatest exposure online. After all, a website that performs well can provide invaluable leads and new business to your firm. To this end, having a trusted Internet marketing firm overseeing the development, maintenance and overall performance of your business’ website will be essential. Because there are so many Internet marketing firms out there these days, knowing which firm is the right and best choice for you can be difficult, especially when many options may seem credible on paper. In this three-part blog series, we will point out some important questions to ask Internet marketing firms you are considering hiring. By asking these questions, you can figure out whether a firm is credible and reliable, as well as whether it will end up providing you with the best possible Internet marketing services. What is your experience with Internet marketing? How long has your business been established? Experience can be priceless when it comes to avoiding some of the common pitfalls of developing, rolling out and maintaining websites. Although the Internet marketing industry is relatively new (so people and firms won’t have decades of experience under their belt), you probably don’t want to hire a firm that has just been established and that doesn’t have at least a few years of experience behind it. As you get the answer to this question, you may want to consider asking a follow up but related question regarding how the professional you are working with got into the Internet marketing industry. It’s always preferable for Internet marketing professionals to have some kind of prior experience and/or degrees in marketing or business. What services would you provide me with? Is this the same for all of your clients? The real point of asking this question is to find out whether an Internet marketing firm will provide you with cookie-cutter, one-size-fits-all services or whether that firm will customize its Internet marketing services and solutions to meet your business’ needs and goals. – Typically won’t end up providing you with the results they’ve promised you. What about SEO? What kind of SEO services will you provide? – SEO can be easy to fake, as some companies may buy you spammy or bad links to artificially launch your site to the top of search engines. Such black-hat SEO techniques never work out in the long run, as search engines will likely penalize sites for such techniques. – SEO, when done right, is a complicated process that involves elements of design, content, link building, etc. So, what you are looking for in terms of an answer to this question is something to the effect of the variety of optimization services you will receive if you move forward with a specific firm. Avoid working with Internet marketing firms that can’t provide you with a concrete answer about the specific types of SEO services you will get from them. We will continue pointing out some important questions to ask Internet marketing firms in the second and third parts of this blog series that will be published in early November – don’t miss them! When you are ready to move forward with the RIGHT internet marketing firm, it’s time to contact Epic Web Results. Our skilled industry professionals are up to date with the latest advances in Internet marketing and SEO best practices, and we are highly adept at designing and maintaining optimized websites that will soar to the top of search engines. Call us at (800) 501-9724, or email us using the contact form on this page.